Marantz SR7011 9.2 Channel Full 4K Ultra HD AV Surround Receiver with Bluetooth and Wi-Fi. Coming soon - control with Alexa voice commands. Surround yourself in thrilling 3D surround sound with the most complete immersive format including Dolby Atmos, DTS:X, and Auro 3D (via paid upgrade). All three codecs are able to drive overhead speakers for a true 3D sound experience. 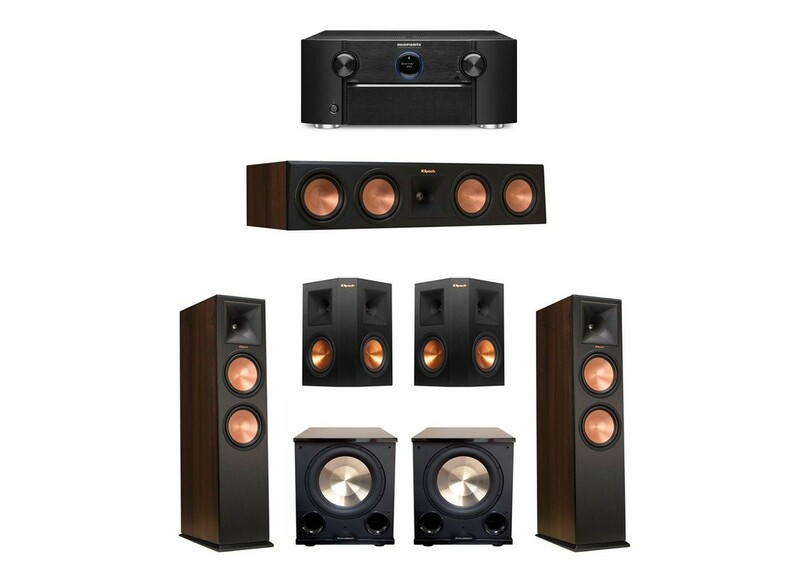 And thanks to the receiver's 9 high quality amplifier stages, each providing 125 W of pure Marantz power and finesse, you can drive a full 5.1.4 home cinema setup without the need of additional external amplifier.